From all the dunes of Morocco, the big dune of Merzouga is one of the highlights. 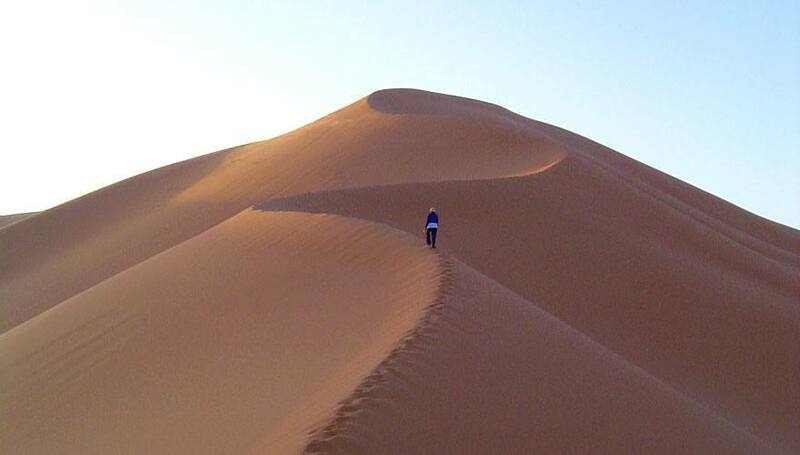 The dune of Merzouga is the hottest destination of Erg Chebbi. With a height of over 500 feet, its climb is difficult, but reaching its peak guarantees incredible ecstasy. 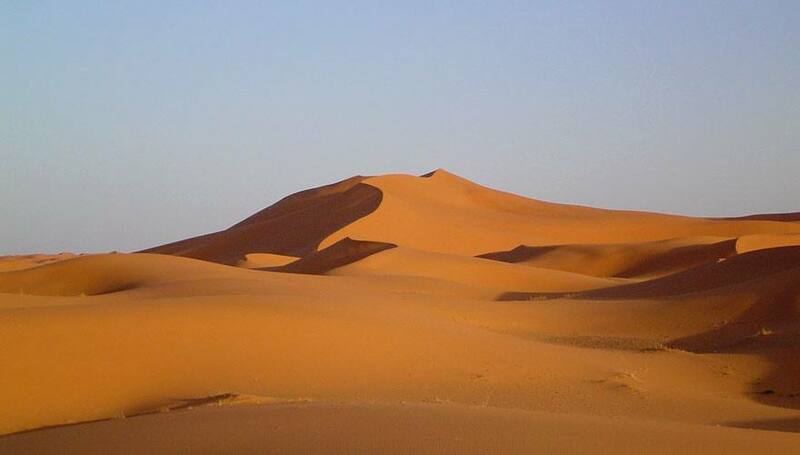 An Erg (also called Edeyen, ramla, Nefud or koum) is a desert of fixed dunes. There are two in the Kingdom of Morocco, including Erg Chebbi, which is 3 miles wide and over 12 miles long! The panorama on the entire region, the village below and the lake in front will amaze you. We advise you to climb the dunes in late afternoon when the temperature is bearable in order to enjoy the magical sight of the sunset over the lake. If walk downhill the dune looks too easy to you, you can consider skiing or paragliding! 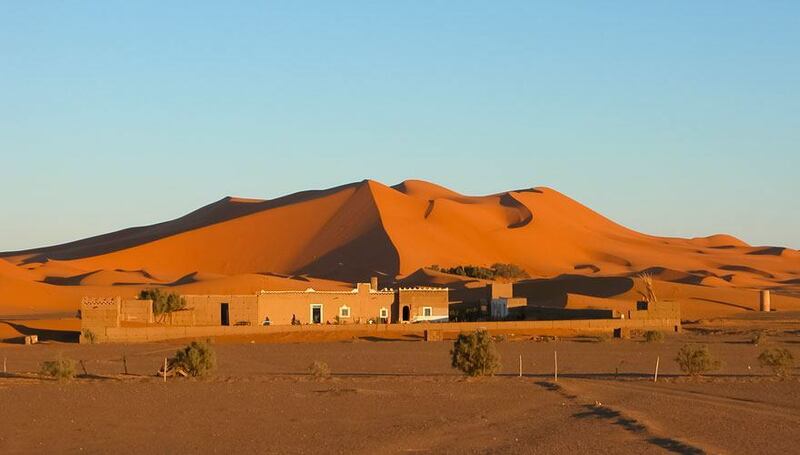 A legend of the region orally transmitted, says the dunes of Erg Chebbi were formed by God himself. It would have been initially a punishment to rich families who refused to accommodate a poor woman with her son during a party. The legend describes wealthy families who washed their hands with milk and played with balls of couscous. These families would have been buried as well as the village of Merzouga by sand storms, leaving this set of dunes.